EDINBURG — After the first game of the NBA G League Finals on the campus of Stony Brook on Long Island, Vipers center Isaiah Hartenstein may have felt a little disrespected. He would find himself wide open at the 3-point line. Hartenstein, a 7-footer with a nice touch from 3-point land, did more than gain that respect back as he connected on 8 of 9 3-pointers and scored a game high 33 points to lead the Vipers to a 127-116 victory over the Long Island Nets on Tuesday at Bert Ogden Arena. The win evens the best-of-three series at 1-1 and forces a deciding game back at Stony Brook at 7 p.m. Friday. 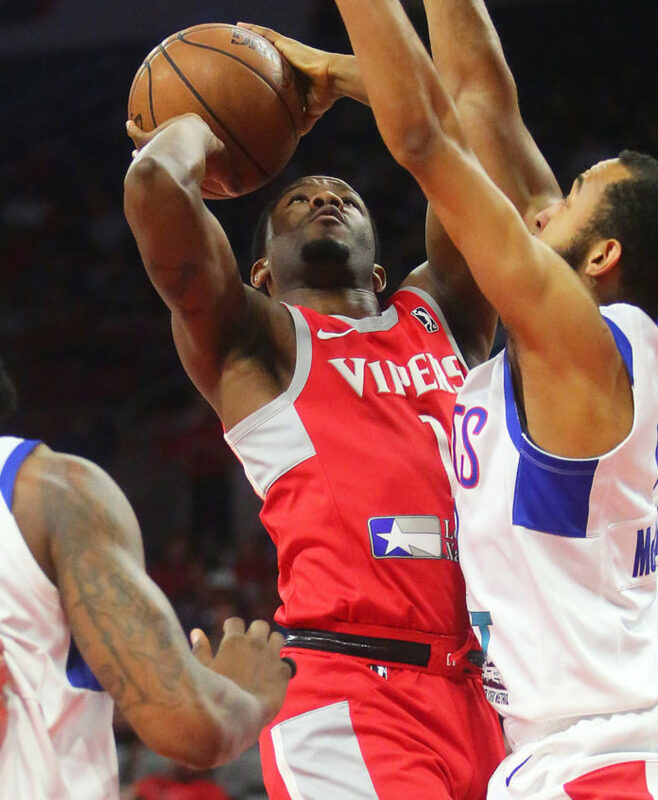 The Vipers are looking to become the first team in the G League to win three championships. They lost twice previously to the Nets this year prior to Tuesday’s game, both times by 10 points. However, after the victory, in front of a deafening near-capacity crowd, there was no lack of confidence in the locker room heading to Friday’s winner-take-all game. Hartenstein didn’t take any 3-pointers in the first quarter but hit five in the second quarter and had 18 points at halftime. While he doesn’t make 3-pointers his priority, Hartenstein’s hot hand spread like wildfire throughout his team. Both teams were 43 of 94 from the floor (45.7%) but the Vipers clearly made the difference from beyond the arc. They were an impressive 21 of 44 (47.7%) from the 3-point arc while the Nets were 13 of 34 (38.2%). “We talked about what we needed to do tonight – shoot the ball well and limit their free throws,” Blair said. “They were averaging over 40 free throws a game against us during the two games we played them this season and we held them to 23 tonight. Game 3 of the NBA G League Finals can be seen on ESPNU.